Shop for B.B. King mp3s. Get B.B. King essential facts below. View Videos or join the B.B. King discussion. Add B.B. King to your PopFlock.com topic list for future reference or share this resource on social media. Riley B. 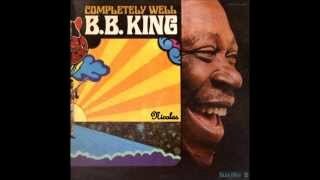 King (September 16, 1925 - May 14, 2015), known professionally as B.B. King, was an American blues singer, electric guitarist, songwriter, and record producer. 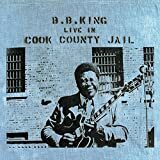 King introduced a sophisticated style of soloing based on fluid string bending and shimmering vibrato that influenced many later electric blues guitarists. King was born on a cotton plantation in Berclair, Mississippi, and later worked at a cotton gin in Indianola, Mississippi. He was attracted to music and the guitar in church, and began his career in juke joints and local radio. He later lived in Memphis, Tennessee, and Chicago, and toured the world extensively. King died at the age of 89 in Las Vegas, Nevada, on May 14, 2015. King assembled his own band; the B.B. King Review, under the leadership of Millard Lee. The band initially consisted of Calvin Owens and Kenneth Sands (trumpet), Lawrence Burdin (alto saxophone), George Coleman (tenor saxophone),Floyd Newman (baritone saxophone), Millard Lee (piano), George Joyner (bass) and Earl Forest and Ted Curry (drums). Onzie Horne was a trained musician elicited as an arranger to assist King with his compositions. By his own admission, King could not play chords well and always relied on improvisation. In 2006, King went on a "farewell" world tour, although he remained active afterward. The tour was partly supported by Northern Irish guitarist, Gary Moore, with whom King had previously toured and recorded. It started in the United Kingdom, and continued with performances at the Montreux Jazz Festival and in Zrich at the Blues at Sunset. During his show in Montreux at the Stravinski Hall, he jammed with Joe Sample, Randy Crawford, David Sanborn, Gladys Knight, Leela James, Andre Beeka, Earl Thomas, Stanley Clarke, John McLaughlin, Barbara Hendricks and George Duke. B.B. King used simple equipment. He played guitars made by various manufacturers early in his career: he played a Fender Esquire on most of his recordings with RPM Records (USA). However, he was best known for playing variants of the Gibson ES-355. In 1980, Gibson Guitar Corporation launched the B.B. King Lucille model. In 2005, Gibson made a special run of 80 Gibson Lucilles, referred to as the "80th Birthday Lucille", the first prototype of which was given as a birthday gift to King, and which he used thereafter. King used a Lab Series L5 212" combo amplifier and had been using this amplifier for a long time. 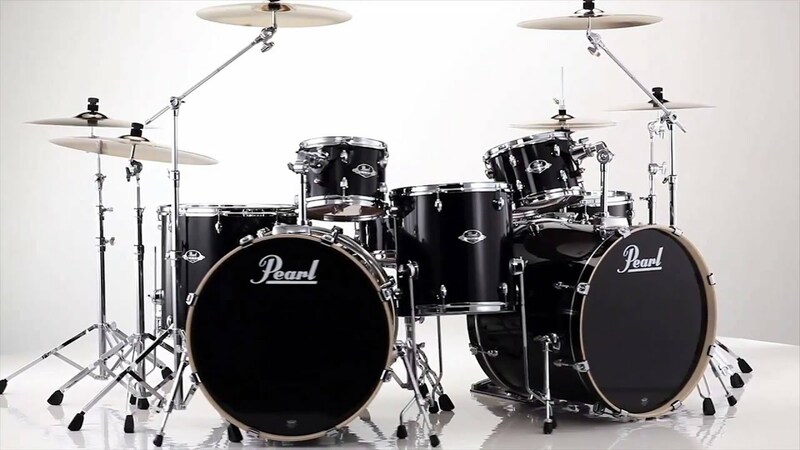 It was made by Norlin Industries for Gibson in the 1970s and 1980s. 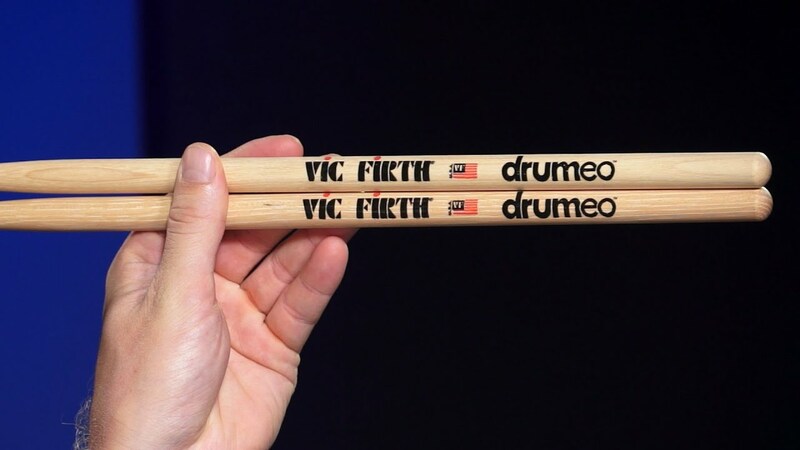 Other popular L5 users are Allan Holdsworth and Ty Tabor of King's X. The L5 has an onboard compressor, parametric equalization, and four inputs. King also used a Fender Twin Reverb. He used his signature model strings "Gibson SEG-BBS B.B. King Signature Electric Guitar Strings" with gauges: 10-13-17p-32w-45w-54w and D'Andrea 351 MD SHL CX (Medium 0.71mm, Tortoise Shell, Celluloid) Picks. In 1991, Beale Street developer John Elkington recruited B.B. 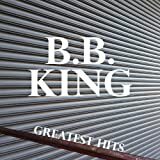 King to Memphis to open the original B.B. King's Blues Club, and in 1994, a second club was launched at Universal Citywalk in Los Angeles. A third club in New York City's Times Square opened in June 2000. Two more clubs opened at Foxwoods Casino in Connecticut in January 2002 and another in Nashville in 2003. Another club opened in Orlando in 2007. A club in West Palm Beach opened in the fall of 2009 and an additional one, based in the Mirage Hotel, Las Vegas, opened in the winter of 2009. King made guest appearances in numerous popular television shows, including The Cosby Show, The Young and the Restless, General Hospital,The Fresh Prince of Bel-Air, Sesame Street,Married... with Children, Sanford and Son, and Touched by an Angel. King, who was diabetic, appeared in several television commercials for OneTouch Ultra, a blood glucose monitoring device, in the 2000s and early 2010s. He appeared in 1995 in a McDonalds commercial with Australian guitarist Nathan Cavaleri, and then in a commercial for the Toyota Camry with his guitar Lucille. After the cancellation of the remaining eight shows of his 2014 tour because of health problems caused by complications from high blood pressure and diabetes, King died in his sleep on May 14, 2015, at the age of 89. His death was as a result of series of small strokes caused by atherosclerotic vascular disease as a consequence of his type 2 diabetes. Two of his daughters alleged that King was deliberately poisoned by two associates trying to induce diabetic shock, though an autopsy showed no evidence of poisoning. ^ Trovato, Steve. "Three Kings of Blues". Hal Leonard. Retrieved 2013. ^ Leonard, Michael. "3 Kings of the Blues". Gibson. Retrieved 2013. ^ "Happy Birthday to "The Velvet Bulldozer" Albert King". WCBS FM. CBS. April 25, 2011. Retrieved 2013. ^ a b "B.B. King Biography". Rock and Roll Hall of Fame. Retrieved 2015. ^ "Blues Guitarist B.B. King Dies at 89". Los Angeles Times. May 14, 2015. Retrieved 2015. ^ a b Herzhaft, Ge;rard (1997). "B. B. King". Encyclopedia of the Blues. Translated by Brigitte Debord (2nd ed.). Fayetteville, Ark. : University of Arkansas Press. pp. 108-110. ISBN 1610751396. ^ Dahl, Bill. "B.B. King". AllMusic.com. Retrieved 2015. ^ a b c d e f g Troupe, Quincy (June 4, 1958). 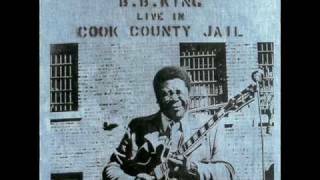 "BB King: American Blues Musician, b. 1925". 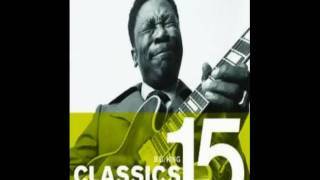 Jazzandbluesmasters.com. Retrieved 2010. ...was born on a cotton plantation, in Itta Bene [sic], Mississippi, just outside the delta town of Indianola. ^ Silliman, Daniel (May 15, 2015). "How the church gave B.B. King the blues". The Washington Post. Retrieved 2015. ^ a b Weiner, Tim (May 15, 2015). "B. B. King, Defining Bluesman for Generations, Dies at 89". The New York Times. Retrieved 2015. ^ "B.B. King: National Visionary". National Visionary Leadership Project. Retrieved 2011. ^ "Historical marker placed on Mississippi Blues Trail". Pittsburgh Post-Gazette. Associated Press. January 25, 2007. Archived from the original on June 4, 2011. Retrieved 2011. ^ "B.B. King - KWEM 1948". KWEM Radio. Retrieved 2015. ^ "Blues Access Interview". Retrieved 2014. 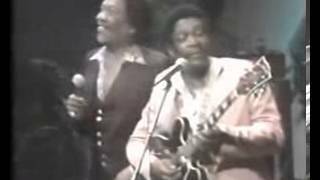 ^ "George Coleman: This Gentleman can PLAY". All About Jazz. Retrieved 2010. 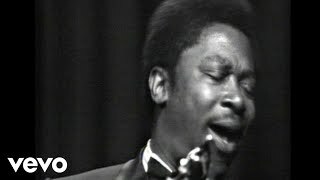 ^ "Bluesobit: BB King". No Rock And Roll Fun. Retrieved 2015. ^ "B.B. King: Biography and Much More from". Answers.com. Retrieved 2011. ^ a b c Sawyer, Charles. "The Life of Riley". President and Fellows of Harvard College. Retrieved 2014. ^ "B.B. King Biography". BBKing.com. Retrieved 2015. ^ McArdle, Terence (May 15, 2015). "B.B. King, Mississippi-born master of the blues, dies at 89". The Washington Post. Retrieved 2015. ^ McShane, Larry (May 15, 2015). "B.B. 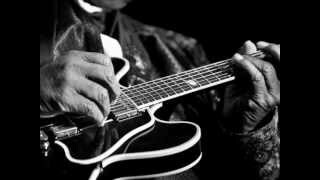 King Dead at 89: Blues guitarist whose sound defined music for generations passes away in sleep". New York Daily News. Retrieved 2015. 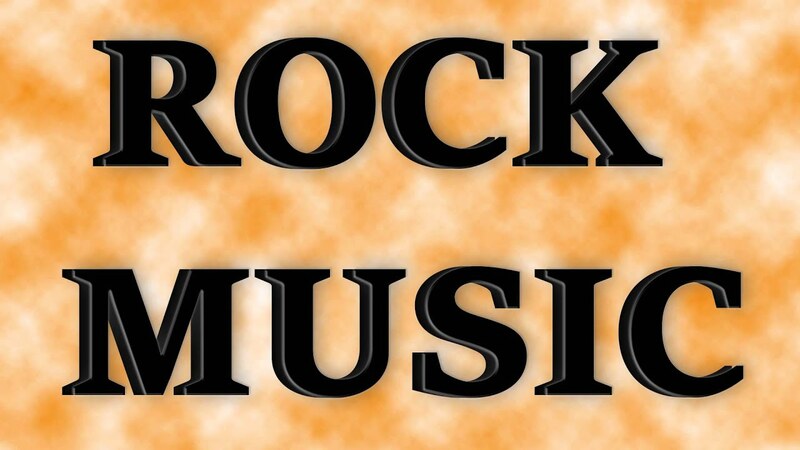 ^ "Rolling Stone Magazine Lists 500 Greatest Songs of All Time". Sun Records. July 15, 2010. Retrieved 2015. ^ Rothman, Michael (May 15, 2015). 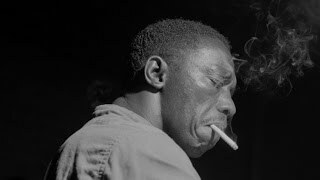 "Blues Icon B.B. King Dead at Age 89". ABC News. Retrieved 2015. ^ a b "B. B. King: Laureate of the Polar Music Prize 2004". Polar Music Prize. Retrieved 2015. ^ "B.B. KING Gives His Prized Electric Guitar "Lucille" to Pope John Paul II During a Private Audience". ITN Source. Dec 18, 1997. Retrieved 2015. ^ "B.B. 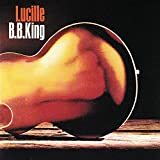 King's "Lucille" to the Pope After Vatican Concert". MTV News. Retrieved . ^ Ritter, Ken (May 15, 2015). 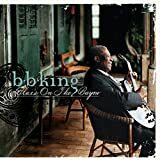 "'King of the Blues' blues legend B.B. King dead at age 89". KUSI News. Retrieved 2015. ^ Brown, Mick (May 18, 2009). 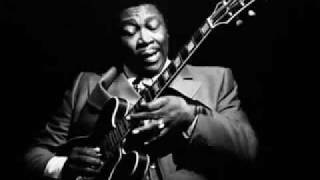 "BB King Interview: The Last of the Great Bluesmen". The Daily Telegraph. London. Retrieved 2015. 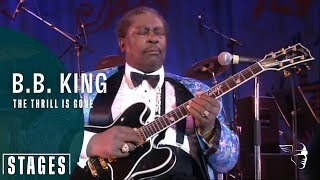 ^ a b "BB King Farewells Montreux". The Sydney Morning Herald. July 5, 2006. Retrieved 2015. ^ "B.B. King Museum and Delta Interpretive Center". 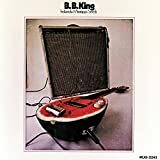 Bbkingmuseum.org. Archived from the original on February 6, 2010. Retrieved 2010. 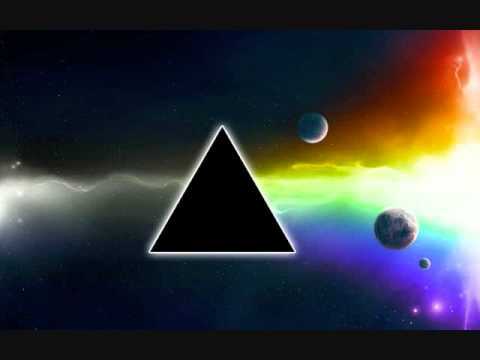 ^ John F. Ross[permanent dead link] "B.B. Gets His Own Museum," American Heritage, Winter 2009. ^ Melzer, Ashley (September 11, 2008). "B.B. King Museum to open this Saturday". Paste Magazine. Retrieved 2015. ^ "B.B. KING LIVE IN YOUR OWN HOME". IGN. January 15, 2008. Retrieved 2015. ^ "28 July 2007 - Crossroads Guitar Festival". Where's Eric!. Retrieved 2015. ^ Chinen, Nate (September 22, 2007). "Stars Join Forces to Salute (and Support) a Rock Legend". The New York Times. Retrieved 2015. ^ "B.B. King - One Shoe Blues". Kaleidoscope Pictures. Retrieved 2015. ^ Coyle, Jake (June 14, 2008). "B.B. King Given Key to the City at Bonnaroo". USA Today. Retrieved 2015. ^ "Opening Night at the Bowl". Hollywood Bowl. Archived from the original on May 18, 2015. Retrieved 2015. ^ "Official Site". B.B. King. Archived from the original on January 2, 2012. Retrieved 2011. ^ Dirks, Rebecca (June 27, 2010). "Reporting From Eric Clapton's Crossroads Guitar Festival 2010". Premier Guitar. Retrieved 2015. ^ Baca, Ricardo (September 23, 2010). "The Reverb Interview: Cyndi Lauper". Hey Reverb. Retrieved 2015. ^ Goff, Dafydd (June 24, 2011). 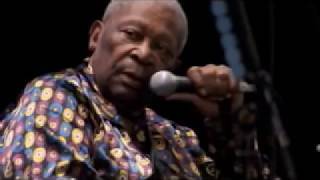 "BB King at Glastonbury 2011 - review". The Guardian. Retrieved 2015. ^ "Live at the Royal Albert Hall 2011". allMusic. Retrieved 2015. ^ "100 Greatest Guitarists". Rolling Stone. November 23, 2011. Retrieved 2015. ^ Compton, Matt (February 22, 2012). "President Obama Sings "Sweet Home Chicago"". The White House blog. Retrieved 2015. ^ Kelley, Frannie. "First Listen: Big K.R.I.T., 'Live From The Underground'". NPR. Retrieved 2012. ^ Mssawir, Elia (August 1, 2012). 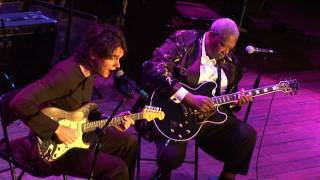 "Byblos Festival featured BB King among others in 2012". Demotix. Archived from the original on July 3, 2015. Retrieved 2015. ^ "B.B. King lived up to his legend at New Orleans Jazz Fest". NOLA.com. nola.com. Retrieved 2014. ^ "B.B. King Cancels Remaining 8 shows". 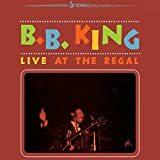 bbking.com. October 4, 2014. Archived from the original on May 7, 2015. Retrieved 2015. ^ a b "Tour Update". 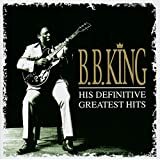 bbking.com. October 8, 2014. Archived from the original on April 30, 2015. Retrieved 2015. ^ McMahon, Brian (November 19, 2014). "A Little Bit of Lefty Love". WIUX. Retrieved 2015. ^ "One Customer's Pawnshop Treasure". Guitarcenterblog.com. December 3, 2009. Archived from the original on June 18, 2010. Retrieved 2011. ^ a b Category: Who Plays What. "B.B. King's Guitar Gear Rig and Equipment". Uberproaudio.com. Retrieved 2012. ^ "The Official Website". Bbking.com. September 16, 1925. Retrieved 2010. 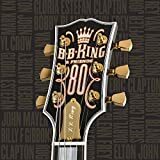 ^ "Bb King: King's Clubs: 'good Memories, Good Times'". Allbusiness.com. Archived from the original on January 7, 2010. Retrieved 2010. ^ Abbott, Jim (November 30, 2007). "The Man Himself Opens New B.B. King's Blues Club". Orlando Sentinel. Retrieved 2015. ^ "West Palm Beach". 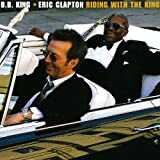 Bbkingclubs.com. Retrieved 2010. ^ "Job Fair at B.B. King's Blues Club". Lasvegassun.com. September 3, 2009. Retrieved 2010. 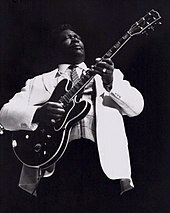 ^ "BB King Performs At Luke's -- February 3, 1995". Retrieved 2007. ^ Sesame Workshop. "Sesame Street Beat Newsletter Archive". Archived from the original on September 30, 2007. Retrieved 2007. ^ Kiesewetter, John (April 2, 2000). "PBS Encourages Kids to Read Between the Lions". Enquirer. Retrieved 2015. ^ "Official Site". B.B. King. Retrieved 2012. ^ Finn, Natalie (April 7, 2015). "Blues Legend B.B. King Hospitalized in Las Vegas". E! Online. Retrieved 2015. ^ a b Doughty, R. (2002). 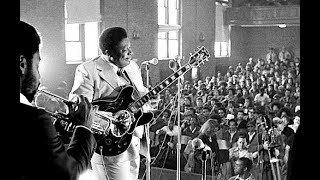 "King of the Blues BB King has Now Been At the Top of the Blues Game for More than 50 years" - via Diabetes Forecast. ^ Santilli, MJ (March 15, 2011). 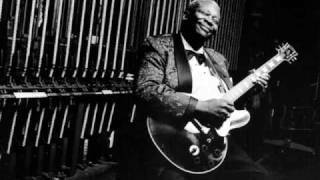 "Crystal Bowersox and BB King In New Diabetes Campaign". MJSBIGBLOG. Retrieved 2015. ^ West, Rebecca (April 20, 2000). "Interview with B.B. King". Blues on Stage. Retrieved 2010. ^ "Honorary Board of Directors". Little Kids Rock. Retrieved 2015. ^ "How B.B. King Avoids the Diabetes Blues | Diabetes Health". Diabetes Health. 2005-11-01. Retrieved . ^ "Crystal Bowersox: Striving to Live Without Limitations | Diabetes Health". Diabetes Health. 2013-01-17. Retrieved . ^ a b "B.B. King Coroner's Report: No Evidence of Poisoning". Rollingstone.com. Retrieved 2015. ^ Ralph Ellis (May 2, 2015). "B.B. King "in home hospice care"". CNN. Retrieved 2015. ^ Oaklander, Mandy (May 16, 2015). "B.B. King Died From Mini Strokes, Coroner Says". TIME. Retrieved 2015. ^ Payne, Ed; Alsup, Dave. "B.B. King was poisoned, his daughters claim". CNN. Retrieved 2015. ^ "Coroner: No Evidence B.B. King Was Poisoned Before Death". The Huffington Post. July 13, 2015. Retrieved 2015. ^ Charlotte Alter (May 30, 2015). "B.B. King Buried in Indianola, Mississippi". Time.com. Retrieved 2015. ^ "Music And Tears At BB King Memphis Procession". News.sky.com. Retrieved 2015. ^ a b WMCActionNews5.com Staff (May 15, 2015). "Beale Street says goodbye to B.B. King -- WMC Action News 5 - Memphis, Tennessee". WMC Action News 5. Retrieved 2015. ^ Associated Press in Indianola, Mississippi (January 1, 1970). 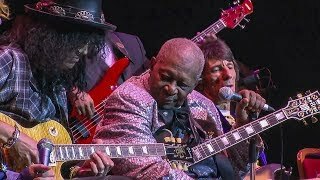 "BB King's funeral draws hundreds as Obama says country 'has lost a legend' | US news". The Guardian. Retrieved 2015. 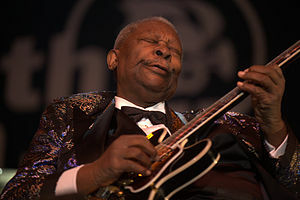 ^ "Hundreds gather to farewell BB King". Melbourne: Theage.com.au. Retrieved 2015. ^ "Community news from The Centre Daily Times in State College, PA". centredaily.com. Archived from the original on July 15, 2015. Retrieved 2015. ^ "Honorary Degrees Since 1702: 1977". Yale University. Retrieved 2015. ^ "B.B. King [Timeline]". The Rock and Roll Hall of Fame. Retrieved 2015. 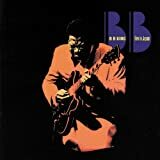 1980: B.B. King is inducted into the first class of the Blues Foundation Hall of Fame. ^ "B.B. King". Retrieved 2014. ^ "Grammy Lifetime Achievement Award Winners". Grammy.com. February 8, 2009. Archived from the original on February 6, 2010. Retrieved 2010. ^ "List of National Medal of Arts Recipients". Nea.gov. Archived from the original on March 2, 2010. Retrieved 2010. ^ "NEA National Heritage Fellowships 1991". www.arts.gov. National Endowment for the Arts. Retrieved . ^ "Kennedy Center Records". Kennedy-center.org. September 16, 1925. Archived from the original on August 5, 2009. Retrieved 2010. ^ "Grammy Database". Grammy.com. February 8, 2009. Archived from the original on February 13, 2010. Retrieved 2010. ^ "List of Presidential Medal of Freedom recipients". Senate.gov. Archived from the original on February 22, 2010. Retrieved 2010. ^ "Brown University to Confer Nine Honorary Degrees May 27". Brown.edu. Retrieved 2010. ^ Tyrangiel, Josh (August 14, 2009). 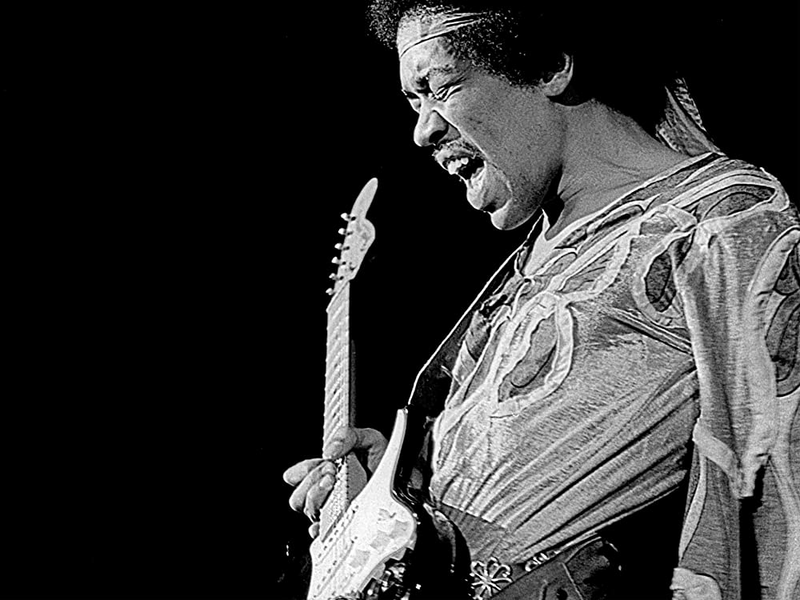 "The 10 Greatest Electric-Guitar Players". Time. Retrieved 2011. ^ ""The Blues Heritage" Indianola, Mississippi Chamber of Commerce". Indianolams.org. Archived from the original on April 15, 2013. Retrieved 2010. ^ Mississippi Blues Commission. "B.B. King Birthplace". msbluestrail.org. Retrieved 2010.